UPDATE: Netflix confirms it's coming to the UK and Ireland in 2012, but loses subscribers | What Hi-Fi? DVD and film streaming service Netflix suffered a sharp drop in subscriber numbers in the third quarter of 2011, with a drop of more than 800,000. Price rises for its DVD rental and online streaming servcies earlier this year proved hugely unpopular. And despite a rise in profits, its shares fell by more than a quarter in New York. Netflix has already lost 60% of its value since July after it raised prices for its joint DVD rental and online film and video streaming service and announced plans to sell off the DVD arm of the business, before abandoning the plan. Total subscriber numbers at the end of September were 23.8 million, but the number was lower than analysts expected. Profits rose by 65% for the quarter to $62.5m (£39.1m), compared to the same period in 2010. Revenues rose by 49% to $822m (£514m). The company has warned that its UK launch could push it into the red. Netflix has confirmed this morning that it will launch in the UK and Ireland in early 2012, six years after shelving its original plan to do so. British and Irish film fans will be able to subscribe to Netflix for a monthly fee – likely about £5 a month – to rent an unlimited number of TV shows and movies to stream online. Exact pricing has still to be confirmed. 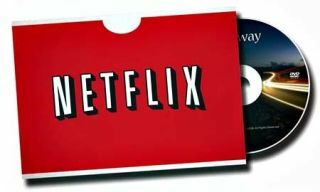 Earlier this month Netflix abandoned plans to separate its DVD rental business from its music streaming service. US film rental giant Netflix is due to launch in the UK and Spain in the first quarter of 2012, according to trade magazine Variety. Netflix executives have apparently been discussing plans to launch the service in Europe early in 2012 with European film distributors. Netflix rents out DVDs and Blu-ray discs by post, and streams movies over the internet to smart TVs, tablets like the iPad and games consoles. It's massively popular in the US, where it has 23 million members. Rival LoveFilm (owned by Amazon) has 1.6 million users throughout Europe.